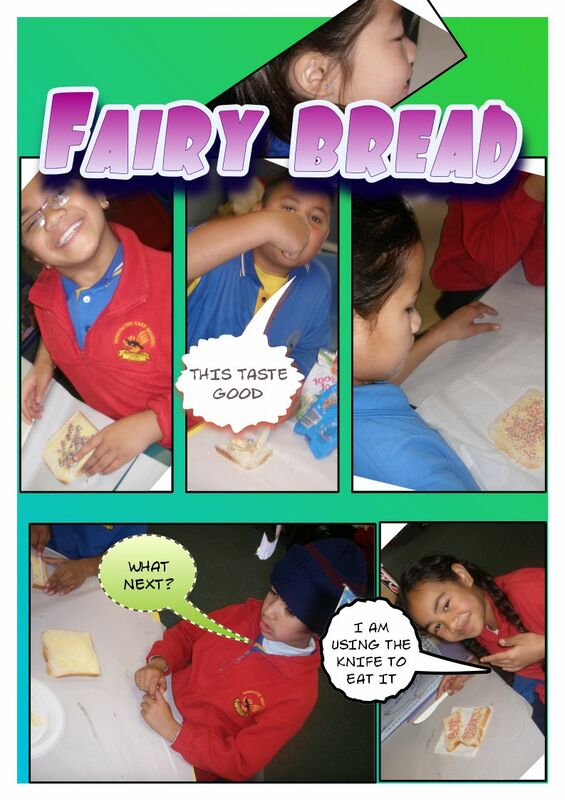 We are rooms A7 and A8 from Papatoetoe East Primary School based in South Auckland. 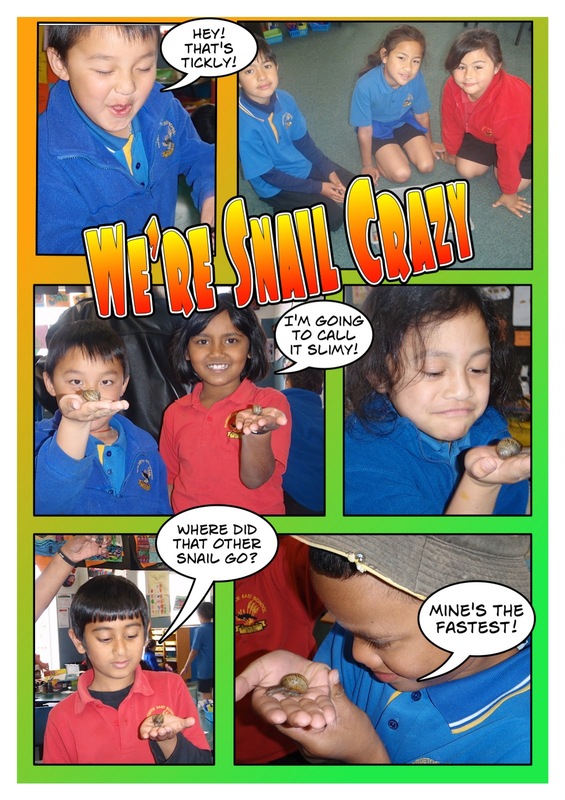 We've been studying snails in A8 and we've got quite attached to the slimy little creatures. We decided to be scientists and try a couple of experiments so that we could learn more about snails. 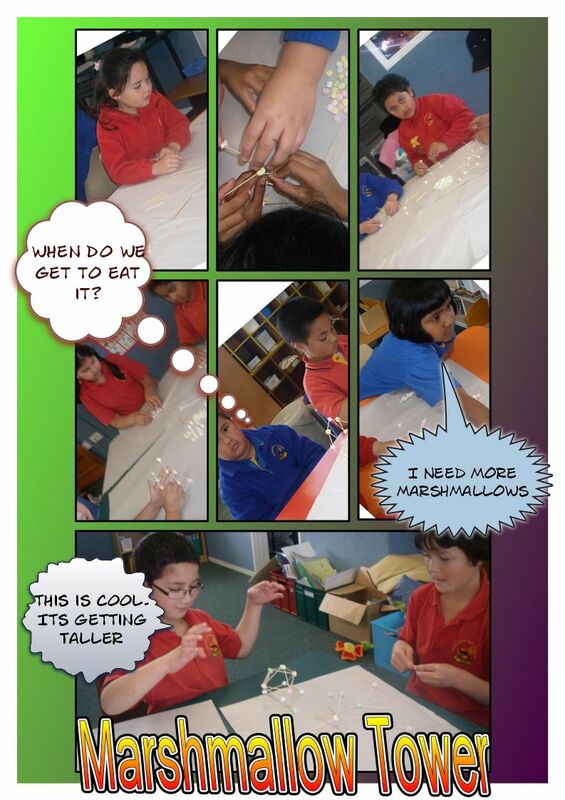 We had 15 minutes to make the tallest tower using Marshmallows and Toothpicks. On Wednesday we made the Hundertwasser Spirals. We used cubes to make the Spirals. It took us a long time. 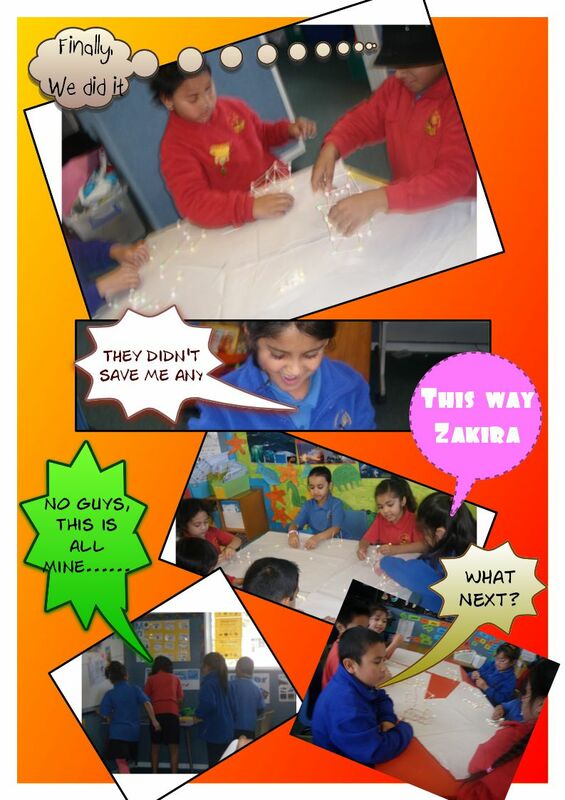 We worked as a team and everyone helped each other. Hundertwasser would be proud to see this cool spiral that we made. Everyone concentrated on the task. It was a cool activity to do and we may do it again using something else. Our teacher was amazed once we finished it. On Monday A7 and A8 made Fairy bread. Mufti day is on the 26th November to help the school pets.